Beer festivals: they’re for corpulent trainspotters aren’t they? Ha, where have you been, you uncultured fool?! Craft beer is cool (although no cooler than 8 degrees, please). 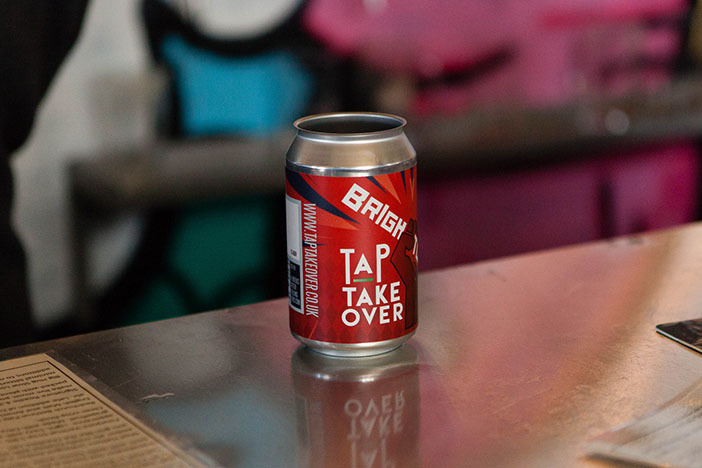 On the final day of March, some of the world’s top craft brewers will be swooping into 14 Brighton boozers for the second annual Tap Takeover. As anyone who lives here knows, the city was an obvious choice for such an event due to its high volume of quality pubs within a ten-minute crawling radius. It’s not all about the beer though. Ok, it’s mostly about the beer, but there’ll also be music at the Hope and Ruin, North Laine Brewhouse, Mesmerist, Black Lion and Fiddler’s Elbow. Plus… we’re excited about Top Of The Hops on the Friday night at Dead Wax Social, at which brewers metamorphose into vinyl DJs. It’s anyone’s guess what they’ll be playing, but if it were us we’d whack on She’s Crafty by The Yeastie Boys and There Is a Light Ale That Never Goes Stout by The John Smiths, ahem. Yep, beer festivals ain’t what they used to be. They now have tote bags, DJ battles and constructivist publicity posters. They do when they’re in Brighton, anyway. Visit www.taptakeover.co.uk for full listings and to purchase wristbands (including four free beers) for £15.